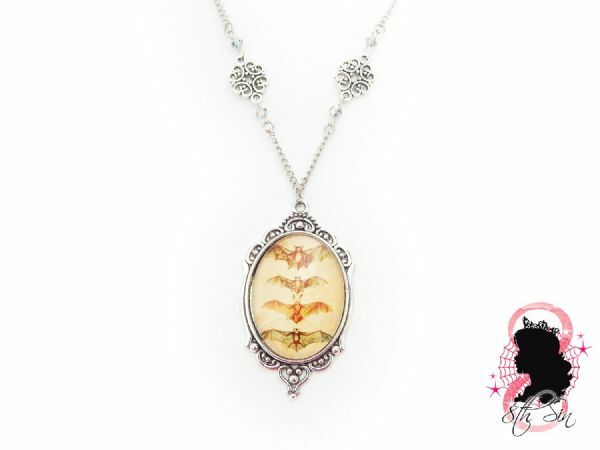 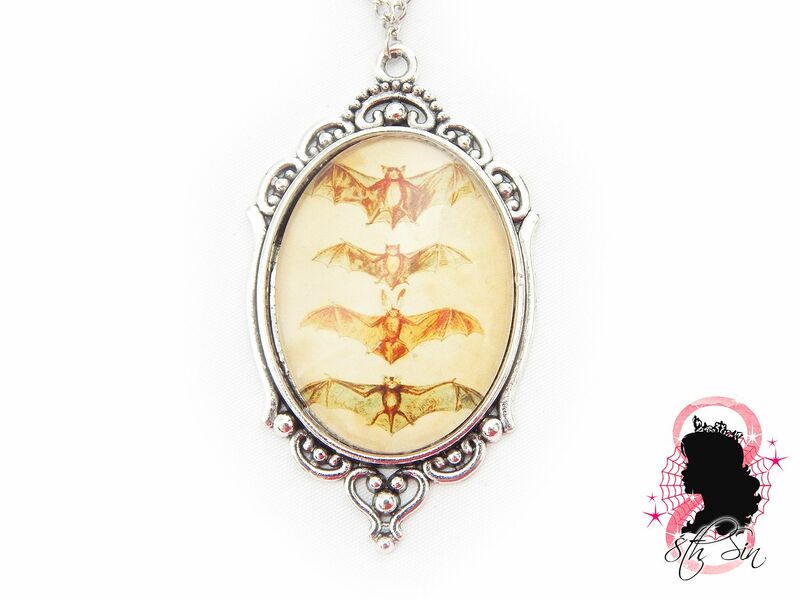 This is an antique silver necklace featuring a vintage style bat cameo, filigree connector charms and iridescent jewel beads to bring out the colours of the bats. 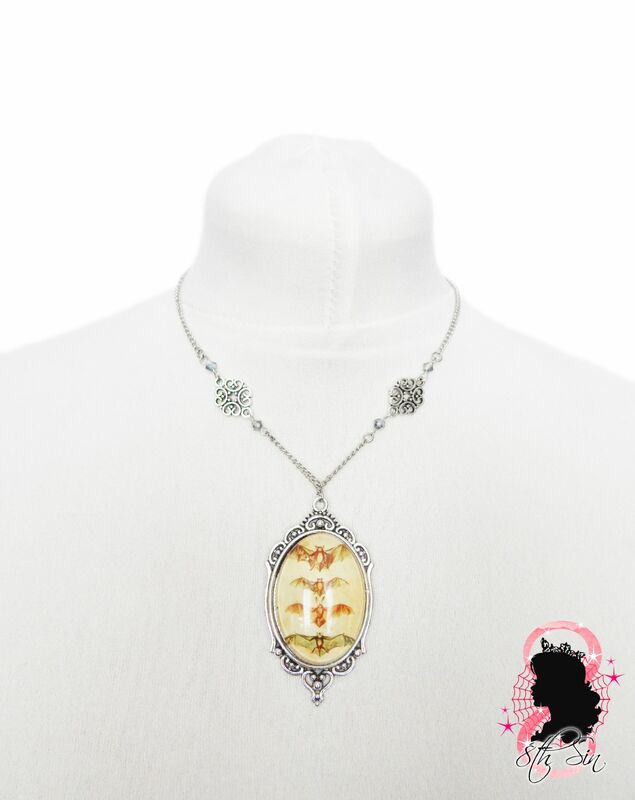 Made with silver plated findings, acrylic jewel beads and glass and paper cameo, the necklace fastens with an antique silver lobster clasp. 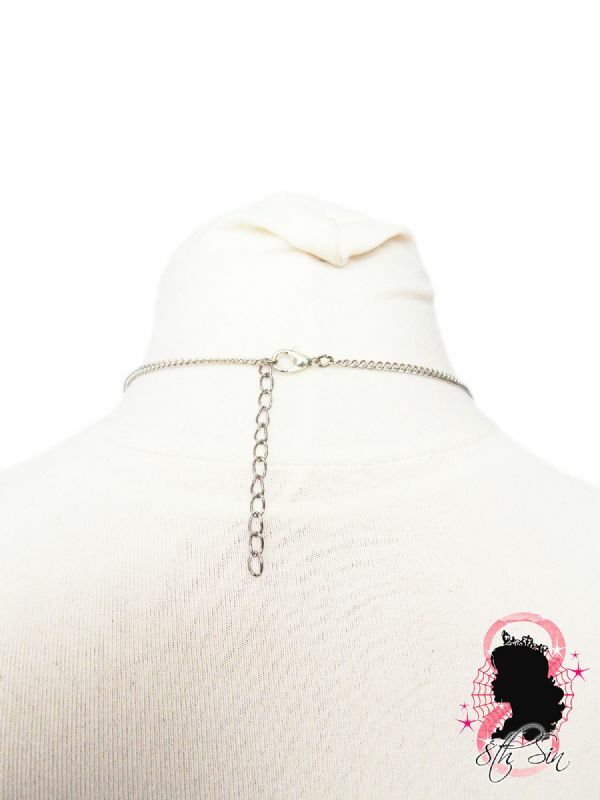 The total necklace length is 18"-20" including a 2" extender chain allowing you to adjust the necklace length. Cameo size is 30mm x 40mm not including the frame. Including the frame, the necklace pendant measures approx. 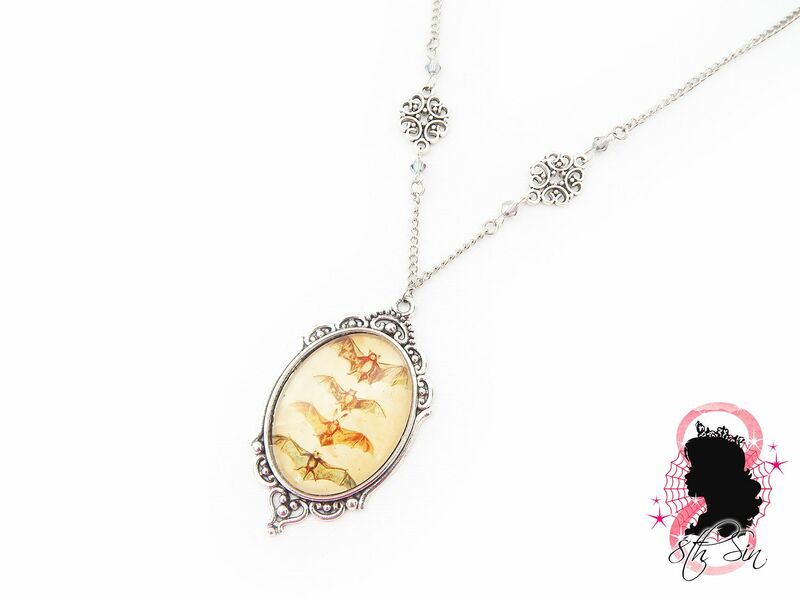 50mm/2" in length.